Today I would like to discuss responsive web design in more detail. For some reason it is sill an unknown concept for many web designers and developers. I find that many people still build websites in an old fashion way – the website looks good only in one resolution. So what does it exactly mean that the website is responsive? In simple words it means that the website changes its layout depending on the device it is being viewed on. It works that way because each device (laptop, desktop, smartphone, tablet) has a different resolution and screen size. With use of special piece of code called “media queries” a web developer can specify what the website will look like in each resolution. For example, smartphones are smaller so the regular navigation will not work. If there are too many links in one line they will not fit on the smartphone’s small screen. That’s why in mobile version of a website the navigation is nearly always a dropdown menu or slide menu. Few years ago no one thought about creating websites in this way. The revolution started when the first smartphone appeared and almost every person got a laptop instead of a heavy desktop. Following are just a few benefits of having a responsive web design. One of the most important things is search engine visibility. WHAT? Yes! Google will keep your website on the top of search results on mobile devices. If your competition doesn’t have mobile version of their website you will be before them for sure. Of course this is not the only thing Google will look at to place you in the search results, but if you have your SEO well done then having a mobile version will help you. 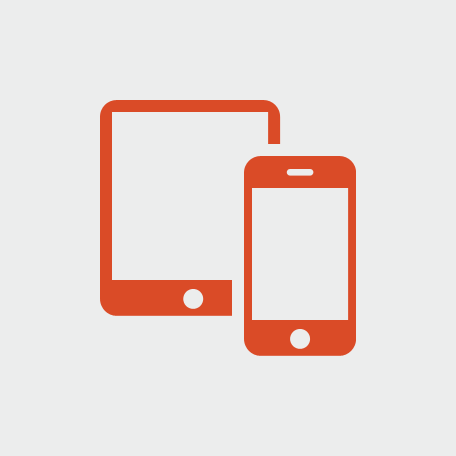 More visits and longer time spent on your website by mobile device users. Anyone who has ever used a smartphone to surf the Internet has probably stumbled on a non-responsive website. I know I have and it was extremely irritating to zoom in and out to see or read what I needed at the moment. After few seconds I usually look for a different website that will be easier to use and provide me with the info I need. This is the reason why mobile users do not spend much time on a non-responsive website. A responsive website is easy to navigate, text is clear and easy to read without zooming, and all the important informations are easy to find. All of this will keep mobile device users on the website longer and it will keep them coming back. Responsive web design makes websites more interesting and allows for great user experience. Websites that make users confused, have bad navigation, or don’t allow users to get to the information they need, are a perfect recipe for a failure. I can guarantee that the user will not come back to that website for a second bad experience. This is the reason why It’s a good idea to revamp an old website to keep up with the times and usage of responsive web design technology.